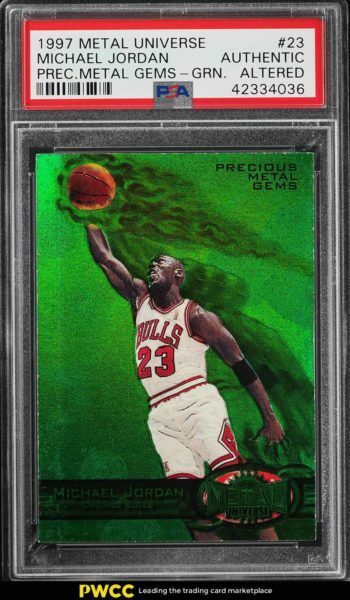 A Michael Jordan card recently set the record for the highest price ever paid for a basketball card on eBay. 2019 is less than four months old. Yet the sports collectibles world has already seen several high-profile auction results. To no one’s surprise, the names included on the list are giants of the sports world including Michael Jordan, Babe Ruth, and Wilt Chamberlain to name a few. Here is a detailed look at items that have rocked the sports collectibles world so far in 2019. When this product was originally released, the sports card landscape was a much different place than it is today. Autographed cards and those containing swatches of game-worn uniforms were the exceptions and not the norm. In addition, trading card manufacturers began issuing parallel and insert cards with contrived scarcity. The Michael Jordan card shown above is one of just 10 that were produced. Despite professional grading company designating it as being authentic but altered, the card recently set the record for the highest price ever paid for a basketball card on eBay. The auction ended on February 20th of this year for $350,100. It’s remarkable to think that packs of this product, when originally released, over 20 years ago, cost a meager $2.49. That’s some incredible ROI! At the height of the great depression, New York Yankees legend, Babe Ruth, was asked to take a $5,000 pay cut for the 1932 season. It was the first time in Ruth’s illustrious career that Ruth had ever taken a pay cut. 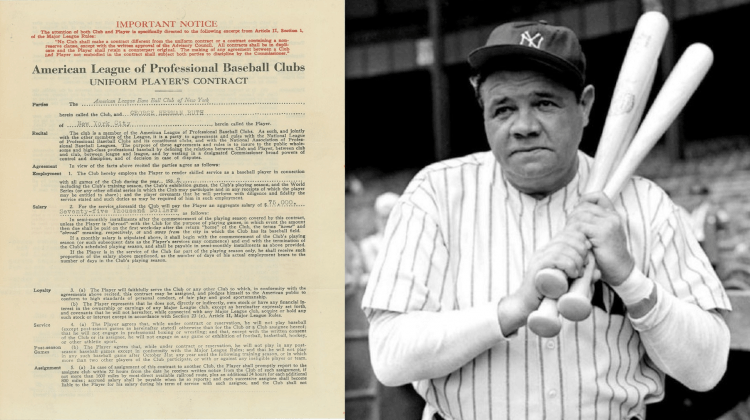 RR Auctions of Boston recently sold the original contract signed by Ruth for the impressive sum of $295,531. The original contract signed by Ruth at the height of the depression, showing a pay cut, sold for almost $300,000. 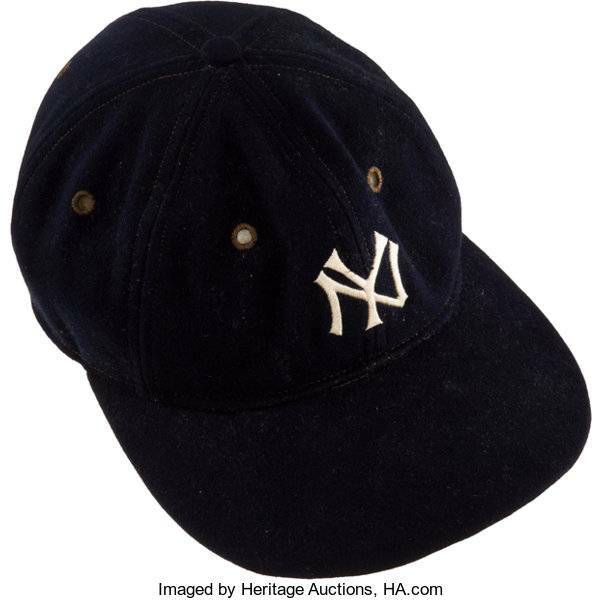 This game-worn cap of the Iron Horse blew away the pre-auction estimate of $200,000, selling for $312,000. At this point, regardless of your feelings for the New England Patriots, there is little room for argument that Tom Brady is the greatest quarterback to ever play in the National Football League. Brady led the Patriots to a Super Bowl victory over the Rams this past season. It was his sixth Super Bowl Championship, the most of any player in the history of the NFL. His long list of accolades, awards, and accomplishments helped propel this card to a record-setting price of $400,100. It is the most ever paid for a modern era trading card. It sold through PWCC on eBay and garnered 118 bids before the auction closed on February 25th. Forbes confirmed that the card was owned by former NFL lineman and noted card collector/investor/dealer Evan Mathis. Collectors might remember that Mathis was also the person that sold the Mint condition 1952 Topps Mickey Mantle card last year for $2.88M. 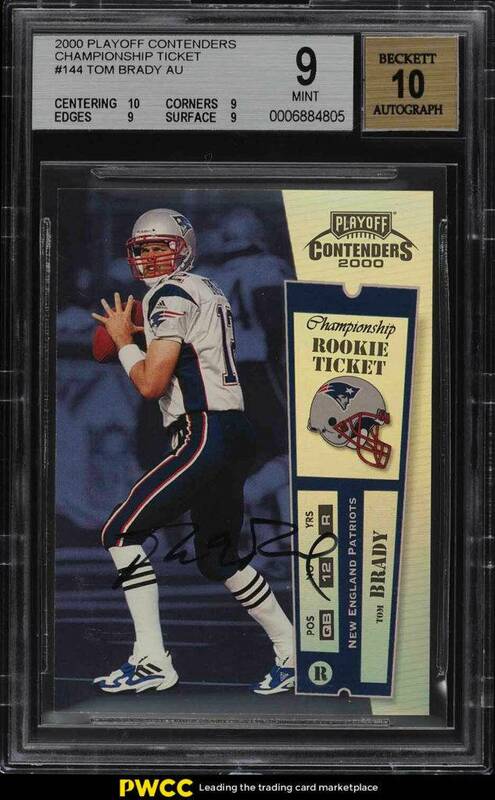 This Tom Brady card went for a record-setting price of $400,100. It is the most ever paid for a modern era trading card. Sometimes the sum of the parts is greater than the whole. Or so it seems with the final sale of NBA Hall of Famer, Kareem Abdul-Jabbar’s personal memorabilia collection. Jabbar originally made the decision to sell his collection of items accrued throughout his NBA career in 2016. Included in the treasure trove were championship rings, MVP trophies, game-worn jerseys, and other items. 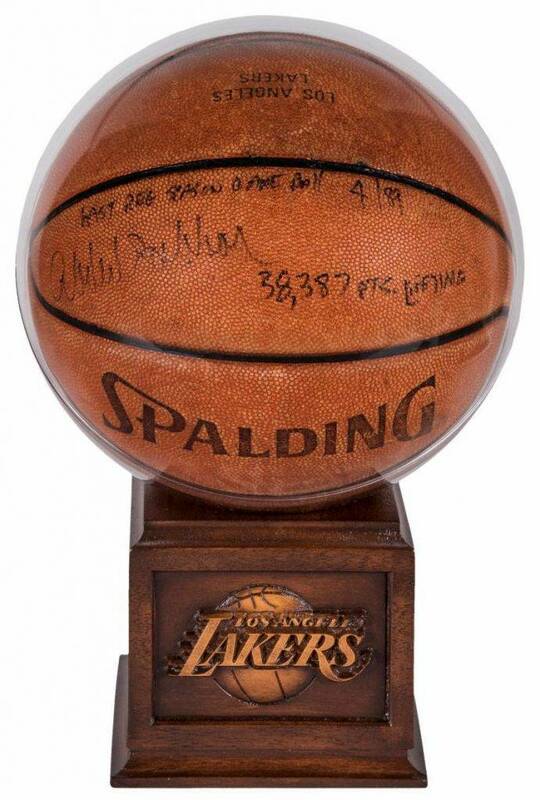 From Kareem Abdul-Jabbar’s personal memorabilia collection, the game-used, signed, and inscribed Spalding basketball from final NBA points sold for $270,050. There are several factors that have contributed to the current bull market being experienced in the hobby. The strong economy is one reason for some of the exorbitant prices being realized for sports collectibles. Increased disposable income, soaring values, and high-profile investors hedging their bets against future inflation are other factors influencing the market. Regardless of the reasons, the market is red hot and shows no signs of slowing down. Rob Bertrand has been an active collector of sports cards and memorabilia for more than 25 years. His involvement in the hobby community is well documented, having been involved with multi-media content development for several sports collectibles websites. Currently the Senior Marketing Manager for Sports & Entertainment at the hobby distributor GTS Distribution, he is also the co-host of the sports collectibles hobby’s only live streaming and nationally broadcast web show, Go GTS Live – The Hobby’s Web Show. He is the author of the highly respected and trafficked blog, Voice of the Collector and you can follow him on Twitter @VOTC. A dealer himself, Rob runs an online business through eBay, and is frequently asked to consign collections.